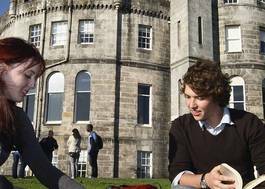 Study Psychology and European Language at University of Stirling - Which? Psychology is the scientific study of the mind and behaviour. During this course you will investigate how and why humans (and other animals) behave in the ways they do, and learn about the mental processes driving these behaviours. As you’ll discover, Psychology is a very broad subject, covering such diverse areas as brain function, perceiving the world and even the social interactions in a football crowd. 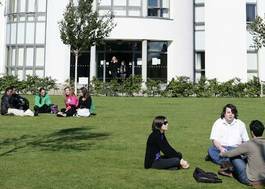 Psychology at Stirling is internationally renowned for research and this feeds into teaching. In our taught modules, you learn of the importance of research in furthering the understanding of behaviour and, in practical work, develop research skills of your own. Semesters 1 – 2 comprise an introduction to psychology as a biological and behavioural science including: Developmental Psychology; Brain and Behaviour; Language and Thinking; Animal Behaviour; Clinical and Abnormal Psychology; Social Psychology and Cognitive Psychology. Other modules on this course may include: Research Methods, Social Psychology, Developmental Psychology, Individual Differences, Cognition, Animal Behaviour and Clinical and Health Psychology. In the final year of our Single Honours Programme, as well as an individual research project, you will choose from a wide variety of electives that are designed to allow you to explore topics that interest you and build your employability skills. 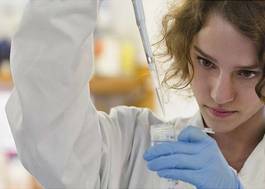 Teaching is by workshops, small discussion groups and practical sessions such as laboratory work or field work. There are opportunities for placements with prospective employers and fieldwork in the study of animal behaviour. At the end of your final year, you will do an independent research project based in the real world and often with a practical value. Here at Stirling you will become an active learner and work with staff as collaborators. Our programme is designed to ensure you are attractive to employers and to enhance and develop your potential in the competitive job market. With its focus on behaviour and mind, Psychology links naturally with other disciplines such as Biology, Philosophy and Sociology. It also integrates with subjects valued in the workplace, such as Business Studies, Marketing and Human Resource Management. French at Stirling is focused on high quality research-led teaching of the language and cultures of the contemporary French-speaking world. Our courses give students an in-depth understanding of language, society and thought across historical and geographical contexts, as well as an opportunity to spend time abroad at a range of exciting partner institutions. Our graduates are dynamic, motivated and flexible. They bring their high-level skills in written and oral communication, translation and intercultural awareness to a wide range of professional contexts. As Language students you will be taught by tutors and lecturers who specialise in the complexities of cultures in places as diverse as metropolitan France, Quebec, the Maghreb and sub-Saharan Africa. At Stirling we approach Spanish as both a European and a global language.There are in excess of 400 million Spanish speakers worldwide, and our courses broaden in-depth understanding of language, societies and cultures across historical and geographical contexts. You’ll explore cultural diversity in modern-day Spain and Latin America, through contemporary and classic films, literature and media. As Spanish students you will be taught by tutors and lecturers who specialise in the complexities of Spain and Latin America. Our highly experienced language teachers work to provide in-depth language study throughout your degree. You will not only develop high-level written and spoken linguistic skills, but you will also build an understanding of the histories, societies, literature, cinema and visual cultures of Spain and Latin America.